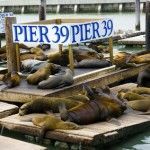 Pier 39 is a waterfront complex which is spreads over 45 acres of prime San Francisco land overlooking the Bay. It is a gathering place for millions of San Francisco visitors and locals alike. This popular meeting place has up to 14 full service restaurants with great food and friendly staff to cater for all visitors’ needs. It also features over 90 shops as well as many popular attractions, a 300-berth marina, and a 5-acre waterfront park. Known for its spectacular views, Pier 39 visitors can see the Bay Bridge, Alcatraz, and the Golden Gate Bridge as they wander the area. 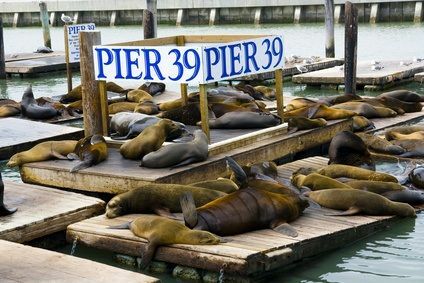 Pier 39 also holds the world famous K-Dock which is home to California sea lions. Yearly visitors can see many sea lions basking in the sun on the dock during the day. 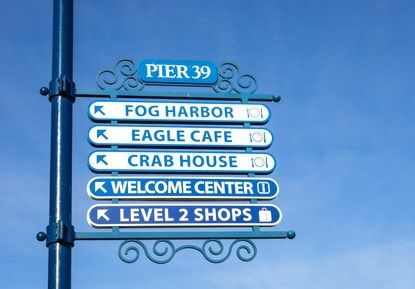 Pier 39 is located along the San Francisco Waterfront at Beach Street & The Embarcadero, San Francisco, CA 94133. Parking is available in the Pier 39 garage across the street. Opening hours for most retail stores and events start from 10am in the morning. Pier 39 is patrolled by security professionals 24 hours to help ensure public safety. All security personal is certified and trained in CPR, First Aid, Automated External Defibrillator use, and State of California Guard Card Training. They are able to offer assistance with a range of emergency response scenarios. 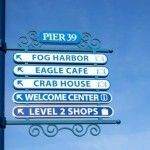 Designed as a wheelchair-accessible facility, Pier 39 has many areas, elevators and ramps that make it accessible to for the disabled visitors. At stage and other live performances, sign languages interpreters are available on request with a notice of 2 weeks prior to the event. For more information on this call 415.705.5500 from Monday through Friday. For TALK students visiting the area, there are many ATM’s in Spanish and English which are conveniently located, and there is a parking garage for added convenience.